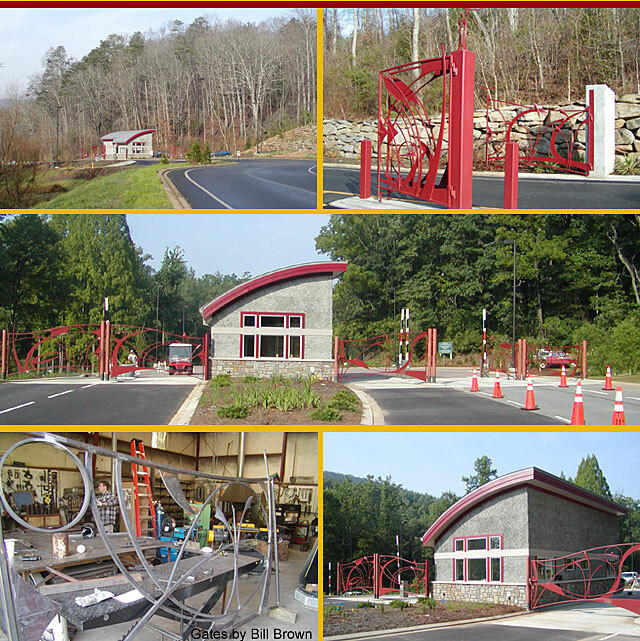 The first visible structures at the entrance to the NC Arboretum, the gatehouse and gates are significant in making a first impression and in providing orientation and information to visitors. The pebbledash stucco exterior finish of the building is a common material in historic, local mountain structures. After soliciting qualifications from regional ironworkers, we selected Bill Brown of Anvil Arts Studio to collaborate with on the seven large ornamental gates. They complement the architecture of the gatehouse and the surrounding landscape. We were also team members in the long-range planning effort of the 426-acre arboretum site.